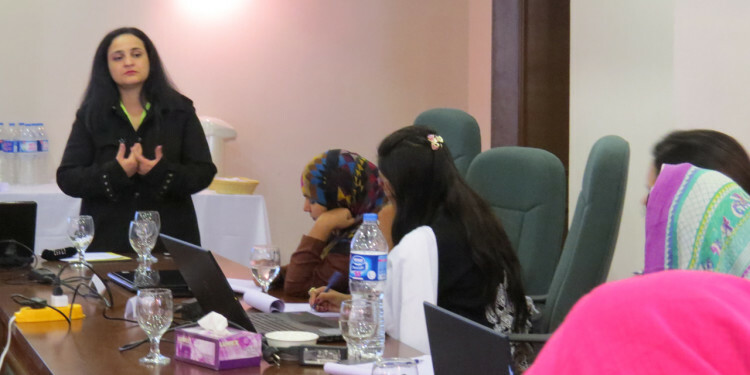 Media Foundation 360 held a three- day training workshop for female journalists in Islamabad from December 5th to December 7th 2015. The training activity, under the project of News Lens, had an objective to involve female journalists from far flung areas where the professionals do not get an opportunity and resources to learn journalistic skills. 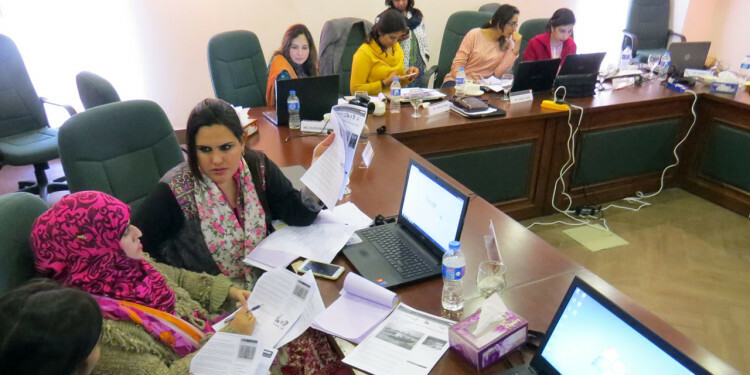 In this workshop female journalists from print and electronic media participated from Waziristan, interior Sindh, Khyber Pakhtunkhwa, Punjab and Baluchistan. 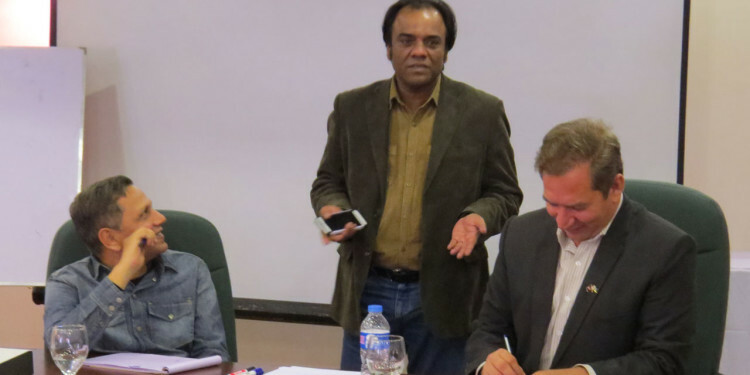 Training was conducted by four senior journalists, Katharine Houreld (Reuters), Mubasher Bukhari, Fatima Ali, Hasan Khan and Aurangzaib Khan. The purpose of this workshop was to introduce the concepts of “focus statement of a story”, “interview skills”, “digging the facts” and “attributions”. 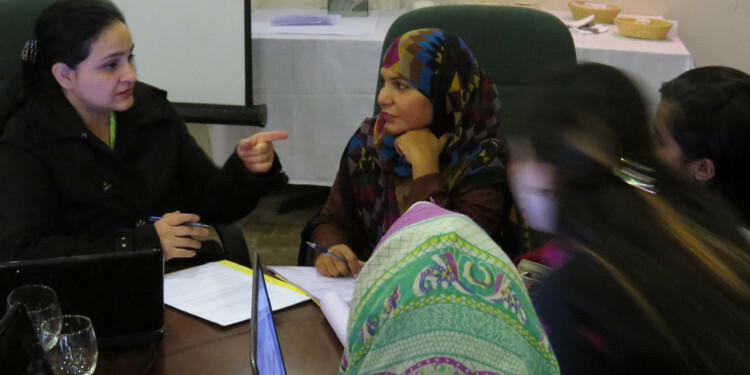 On day one of the session, participants were taught how to conceive a timely and focused story idea. Ideas on how to find authentic source and how to attribute a story were also discussed. At the end of the session participants were given assignments at the spot to practice the skills they had learned. Day two of the session was focused on investigative journalism and the topics included “interview skills” and “digging the facts”. This session was focused on developing skills to make an interview informative. Participants learnt different interview techniques to extract maximum information from interviewee to make story more authentic. At the end of day two, a mock exercise was conducted on how to interview celebrities, analysts, and politicians. On Day three story ideas of participants that they conceived during this training session were discussed while topics of last two days were revised. In these three days trainers used different modes of technique including multimedia and self-evaluation forms to make session effective and practical. At the end of this session, one of the trainers Katharine Houreld expressed her pleasure over the purpose of this workshop, “I am really happy to see these professional journalists. They are sharp and possess strong professional approach. 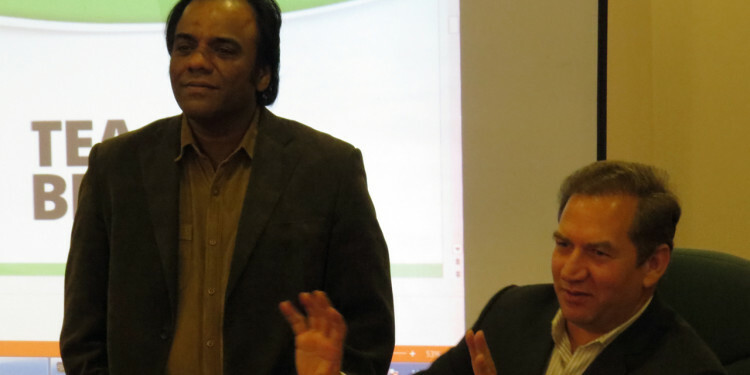 It was really a great opportunity to meet and exchange experience with them”. Trainees also expressed similar views as Anum Lodhi from Lahore said “I was familiar with few of the concepts already but never knew their value nor got a chance to practice those techniques. Other than training, this platform was also a great source to meet fellow professionals from rural areas”. Another participant Shafaq Saba from Waziristan also appreciated the initiative, “We hardly got an opportunity where we could learn and practice journalism techniques. Through this platform I have got to learn many new techniques that I was not aware of”. One participant Mahwish Abbasi from Hyderabad said, “I am a reporter and have worked on many stories but after this session I have realized that I lack in many areas and this training is really helpful in teaching me those techniques”. Session was concluded on the note that participants will continue to practice these things and train new professionals in the field.